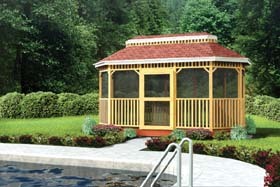 A wonderful addition to any property, gazebos provide stylish shelter for outdoor dining and relaxing. 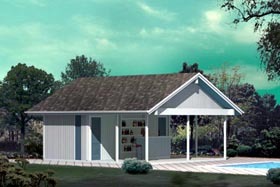 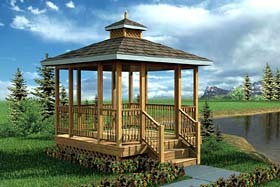 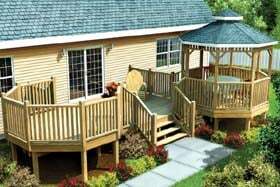 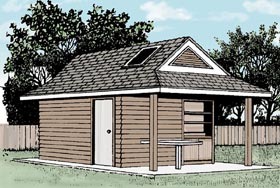 One of our attractive gazebo plans could also serve as a shelter for a hot tub or a place for poolside respite from the sun. 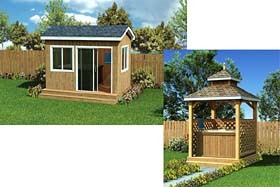 All of our gazebo building plans come with comprehensive, easy-to-follow instructions and diagrams and include a complete materials list. 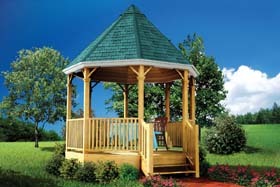 No more guessing on how to build a gazebo.